Mali Mish - Day 99: Downtown Nashville and the Grand Ole Opry. Day 99: Downtown Nashville and the Grand Ole Opry. There is a certain guilt I feel when I am revisiting a town that I have previously been to. It seems that we should be trying harder to see new places during these trips but we just can’t help ourselves but to retrace our steps to try to relive something in our memory. We have done a pretty good job of visiting new places and starting today, we are going to indulge ourselves and find our way back to some of the best spots from our last trip. During our 2010 trip, we landed our feet in Nashville on Day 97. When we got here yesterday, we were on Day 98 of our current trip. The big difference between our two separate visits here is that last time around, we had already spent a month on the Atlantic coast and were technically on our way home. On this trip, we have not yet seen an ocean and are probably a few months away from making our way back to California. Our plan of chasing the autumn colors is working out splendidly. I am sure by now the trees in Michigan have long been bare and naked. Here in Nashville, we are definitely past the peak but there are still signs of fall. 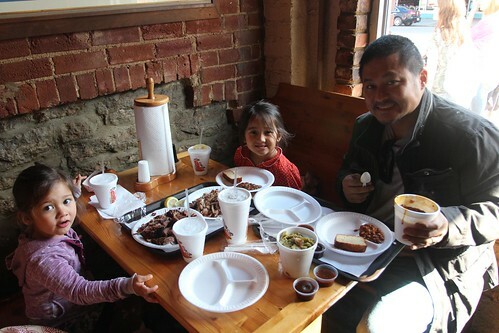 We went back to downtown today for lunch at our favorite barbecue spot from last time. Jack’s Barbecue is a Nashville staple and it would have been a shame to not come back here. I remember having the same dilemma last time as I was waiting in line. Do I get the beef brisket or the pork? I solved my dilemma with the same solution, get both. We got 2 lbs of meat just like last time. Even though there are more of us, we somehow did not succeed in getting through it as we did before. 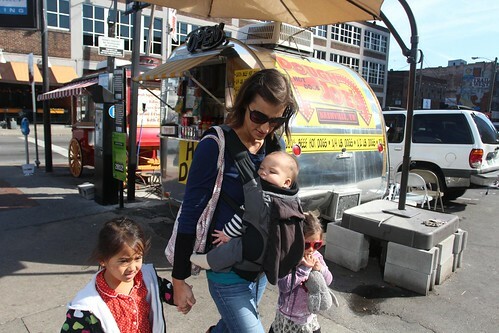 But that is ok with us, we will get to have a second meal from Jack’s back at the Mish. 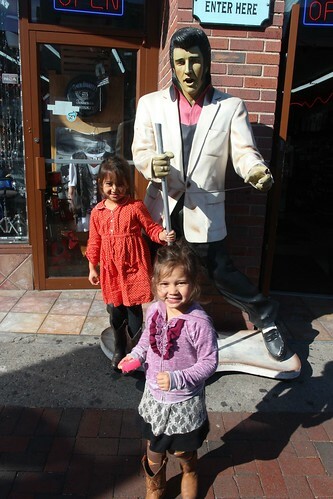 And just like last time, Ava posed next to the Elvis statue while holding his microphone stand. The difference this time is that Mila is now as old as Ava was last time and someone busted off the microphone on the top of the stand. 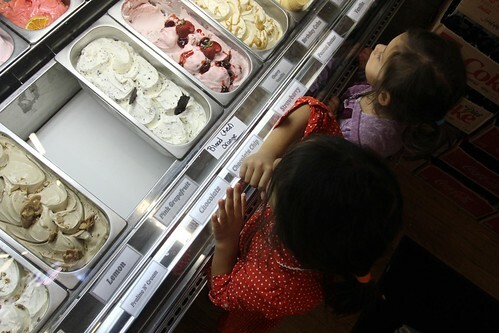 Our ice cream lobby this time around has doubled in size. We have a new junior delegate with the former being promoted to a senior delegate. They convinced us that eating delicious barbecue is grounds for receiving gelato as a reward. We obliged. 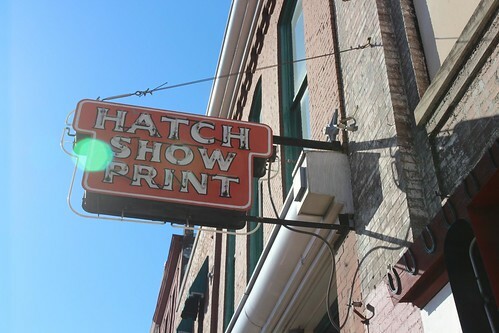 Right on Broadway there is a cool old school letterpress store that we somehow missed during our last visit. They are still making traditional posters for shows around town. Their clientele include the world famous Grand Ole Opry and offer various souvenir prints for sale directly to the public. 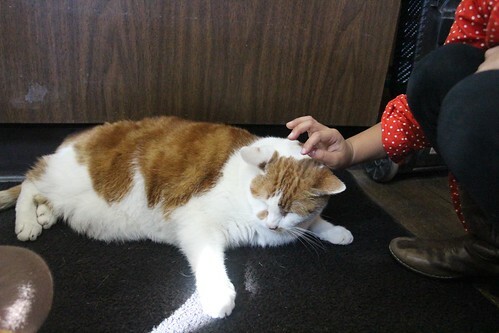 The shop has a couple of resident kitties that are completely use to the daily foot traffic. They don’t even flinch when a stranger comes up to them to pet them. Ava and Mila had no interest in the cool prints and all they wanted to do is pet these uber friendly cats. 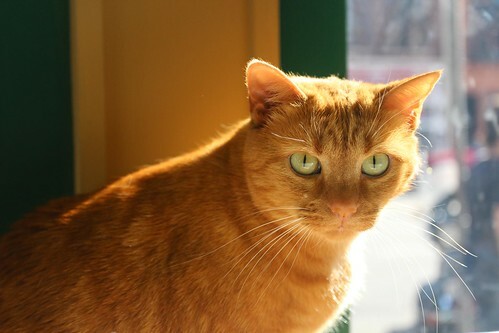 Even our own cat Yoda isn’t this friendly to them. This is what the shop looks like. 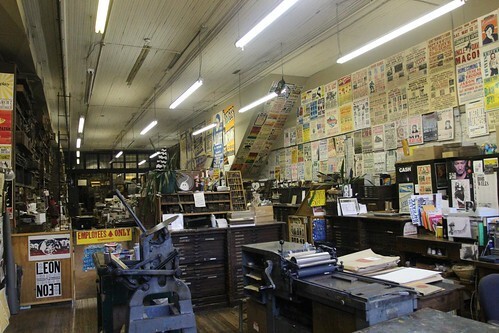 Most of the space is reserved for print production with only maybe 10% of the front of the store dedicated for retail. 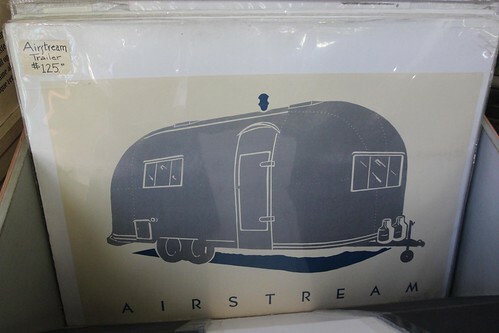 For $125, we could have bought this hand-made Airstream print. And for 125 bucks, we left it there for someone else. 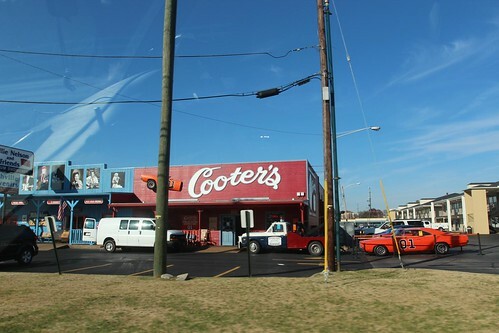 As we retraced some of our footsteps circa 2010, we drove by Cooter’s: A store and museum dedicated to Dukes of Hazzard, complete with their very own General Lee. Right next to Cooter’s is a honky tonk called Nashville Palace. 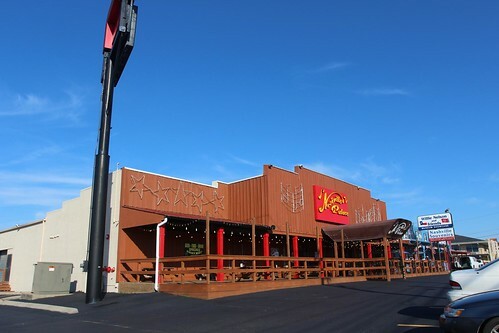 If you missed our post from 2010, this is where Ava boogied the night away to a couple of dudes playing country songs. She was busting moves that we had no idea where they came from. 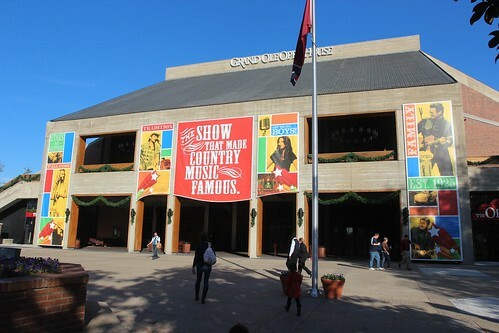 One of the place we didn’t get to visit was the Grand Ole Opry. It suffered major flood damage and was closed for tours. Unfortunately for us, they are closed again for tours because apparently the Rockettes are setting up for their holiday show. I guess we will have to make a third trip here at some point if we want to see it badly enough. 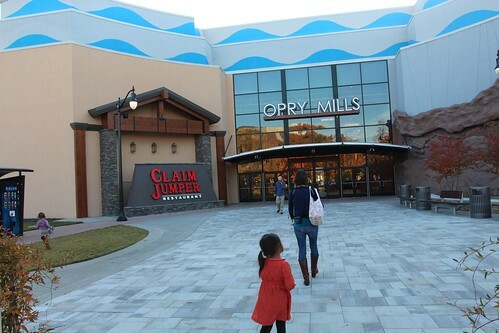 As a consolation prize, we took the girls into the Opry Mill’s mall. To us, going to the mall because the Grand Ole Opry turned us away is a major defeat. To the girls, they were thrilled. They haven’t been to the mall in months and all they wanted is a little taste of suburban life. And a taste of suburban life they got. Even though it’s before Thanksgiving, Santa is already here selling photo ops. 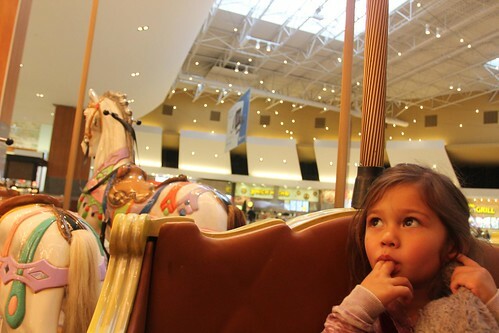 They even had a merry-go-round in the middle of the food court which Mila is still scared to ride except for the chariots. Tomorrow will be our 100th consecutive days in the Airstream. 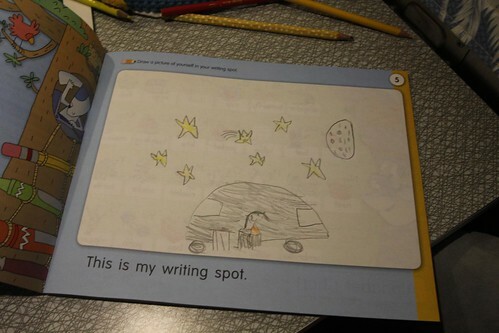 Ava has apparently forgotten how to draw a house. I am OK with that. Day 98: Back to Nashville with broken Airstream steps. 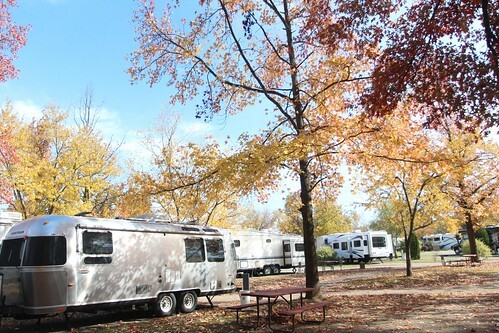 Day 100: Loveless Cafe and Airstream Fever. One Response to Day 99: Downtown Nashville and the Grand Ole Opry. 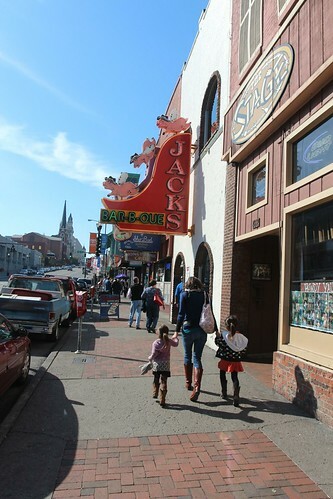 I love Nashville and I love Jacks! You guys should have gone to The Garden Brunch Cafe for breakfast. The best on earth.